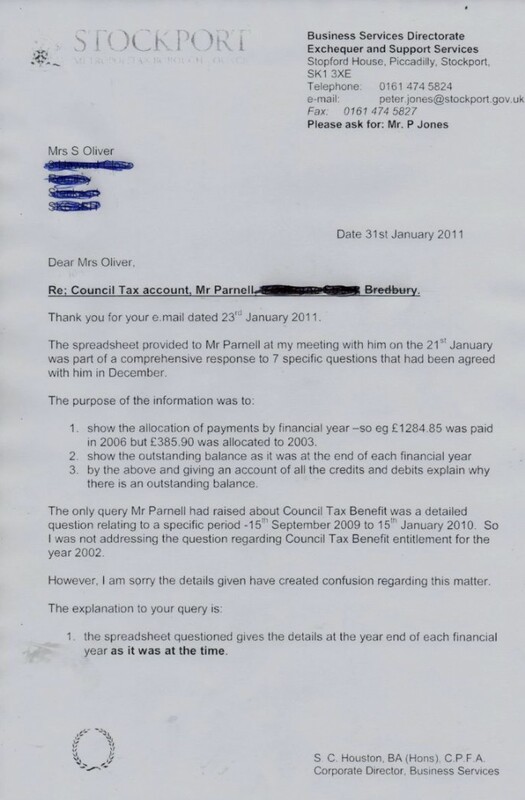 When the police eventually refused to arrest Mr Parnell following representations to the Chief Constable Fahy, the Council then hounded him even whilst in Intensive Care for ficticious council tax arrears. 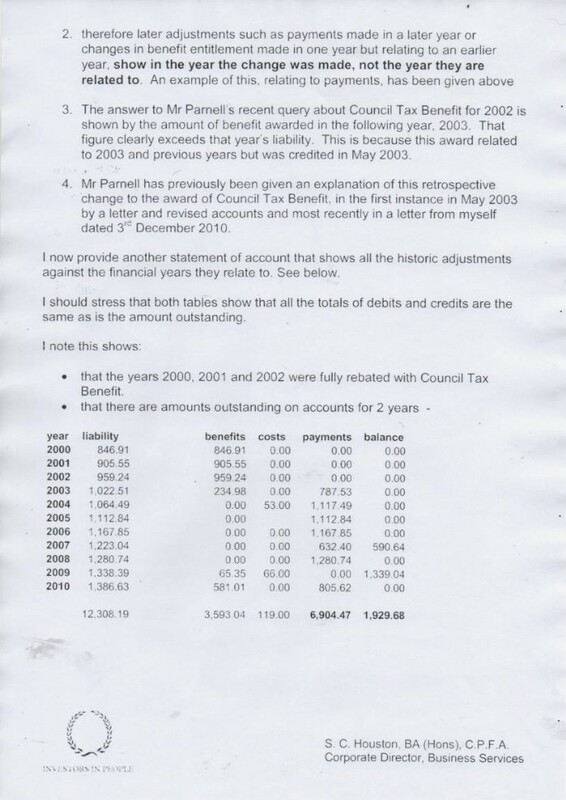 The family was on full Council Tax benefit, had been for years and their circumstances had not changed. Why hound a very sick man whilst in Intensive Care for supposed areas of £24? He was officially by their own designation a vulnerable council taxpayer. Mr Parnell was never given the spreadsheet referred to by Jones in the letter below following the meeting on 21st January.